Yes, I enjoy metaphors, and no, this is no metaphor. Each spring I and my willing victim family members undertake a ritual that might just be the most labor-intensive goal you will ever take here in modern America. 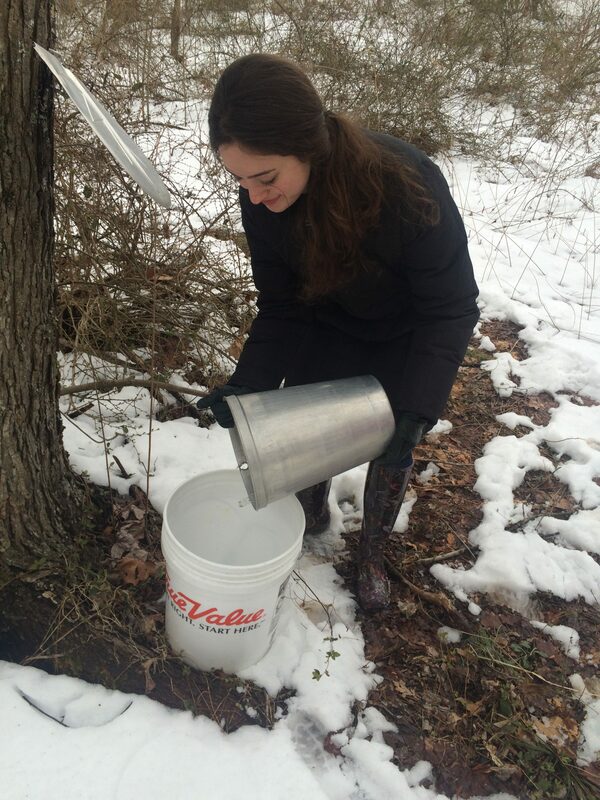 We tap the maple trees in mid January, using traditional buckets, and now also using the plastic spiles and tubing. Then we gather the sap into a big tank in the back of a pickup truck. 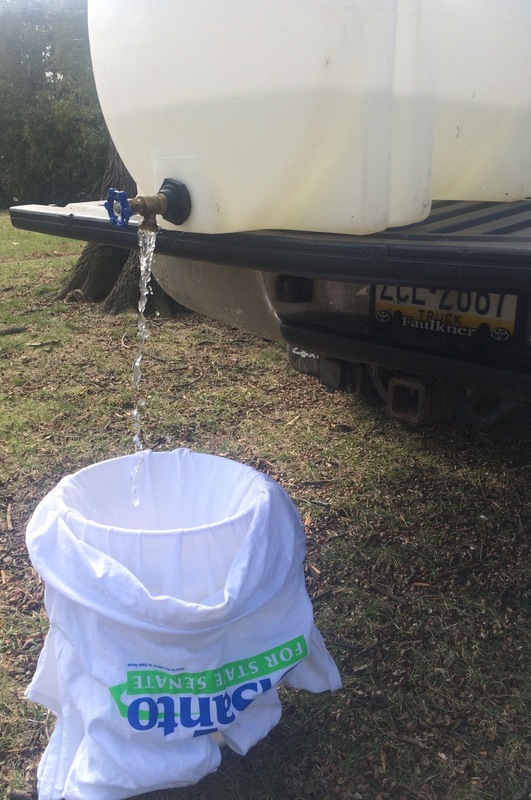 When we reach about 15-20 gallons of sap, we boil it. It takes a long time, a lot of energy, a lot of propane. Sap production can be erratic, and there is no explanation. Mostly driven by nighttime temperatures, some trees can be just pumping out sap like gangbusters for two to four weeks, and then kind of go dead, or nearly dead. Our late-season taps are the biggest producers right now, while the early taps have mostly dried up. I don’t know why this is, but it is frustrating. 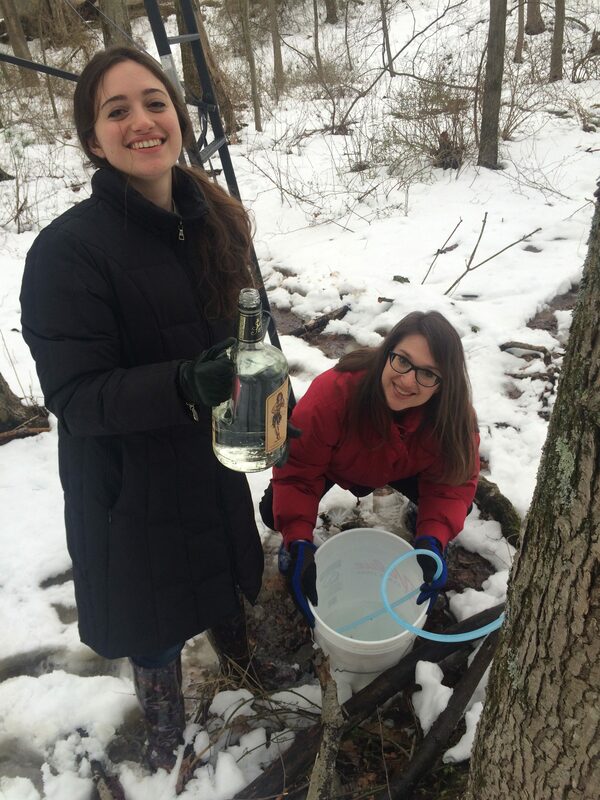 We did not get a lot of sap this year, and though I felt uncertain about beginning to tap so early, I am glad we did, because we would not have gathered enough had we not started back in mid January this year. 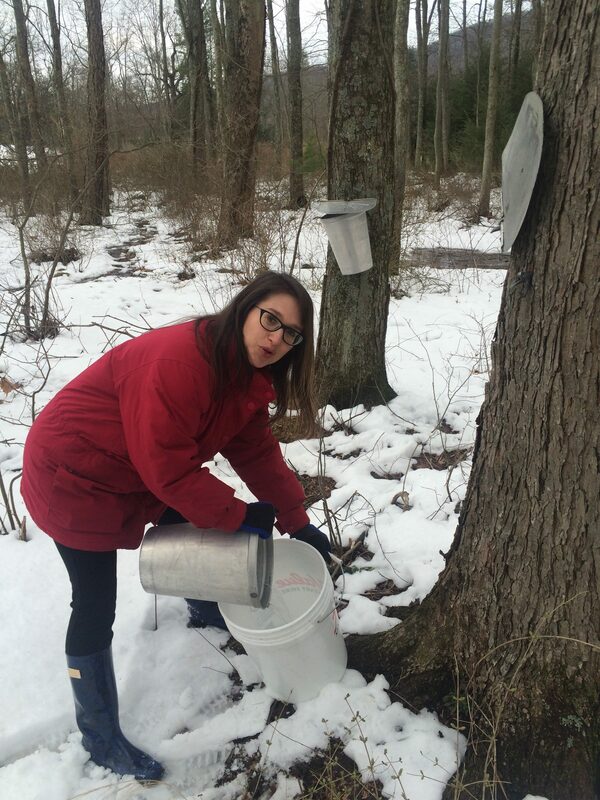 Rumors are Pennsylvania’s maple producers are having a bad sap season, too. From what I read, a lot of syrup producers will not use cloudy sap. Well, we use everything we get, cloudy, clear, bugs swimming about, and we eventually filter out the bugs, wood bits, etc. 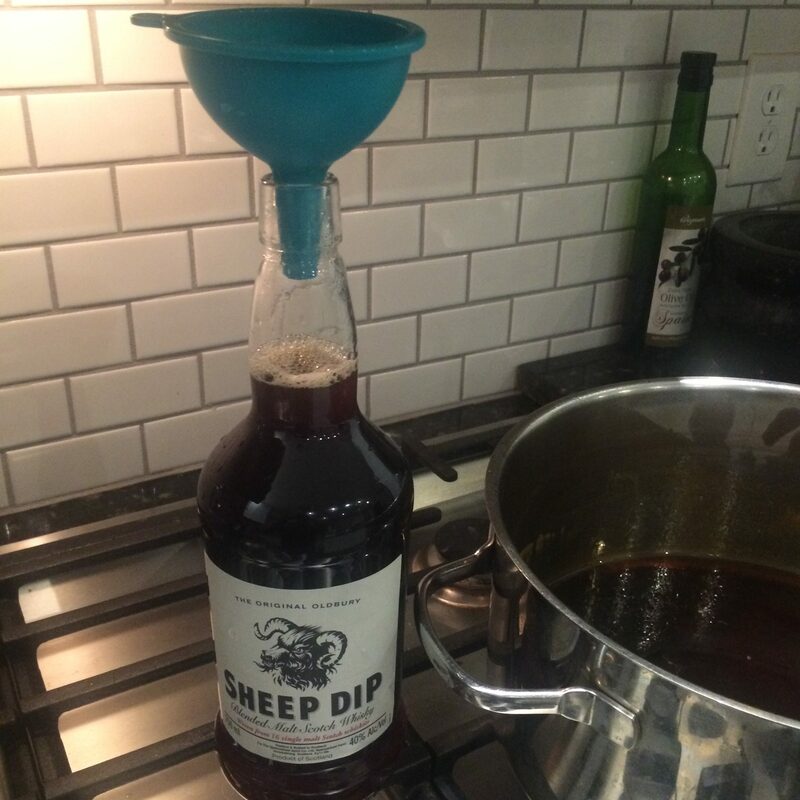 Regardless of how cloudy it is, when it evaporates down to syrup, it tastes amazing. Finally, less is more. Used to be we’d wait until we got 30-35 gallons of sap in the tank to start boiling it, enough to make over half a gallon of syrup. Problem with that is it’s a lot of sap to boil, the way we boil it. We use two large outdoor propane burners under the stainless steel evaporator pan. If we used firewood, it might get hotter or evaporate faster. But then I’d have to cut more firewood, and because we already burn between two and four cords of wood a season in our wood stove, I don’t want to cut and split any more than we really need. 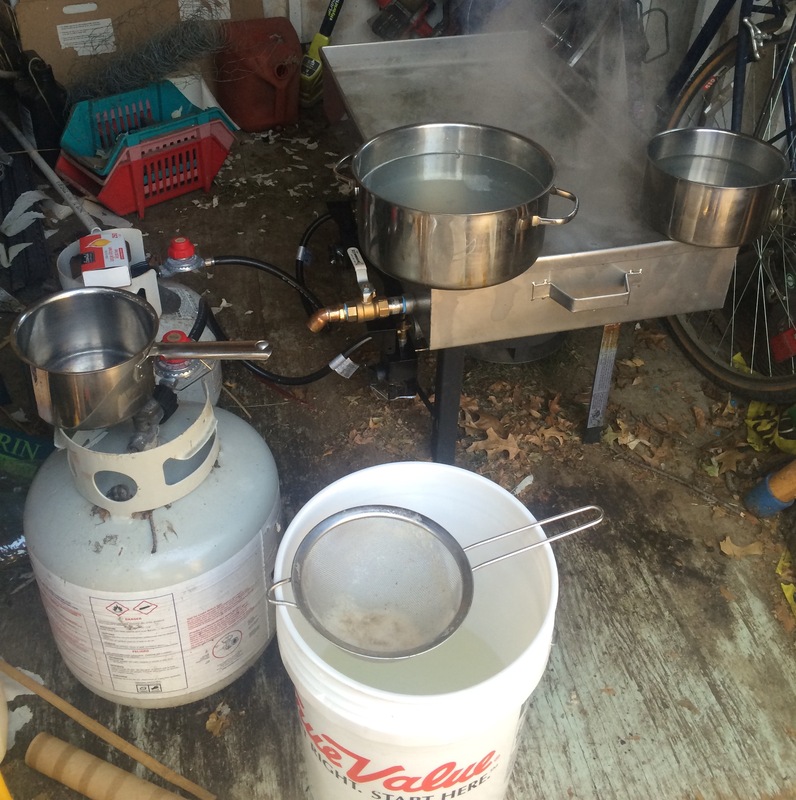 So, now when we hit 15 to 20 gallons of sap, we start boiling. It takes about ten to twelve hours, so start as early as possible. This is a manageable amount of time for us. OK, those are the thoughts for now. Surely as we go forward more will come and go. Here are some photos from the other day, above and below. 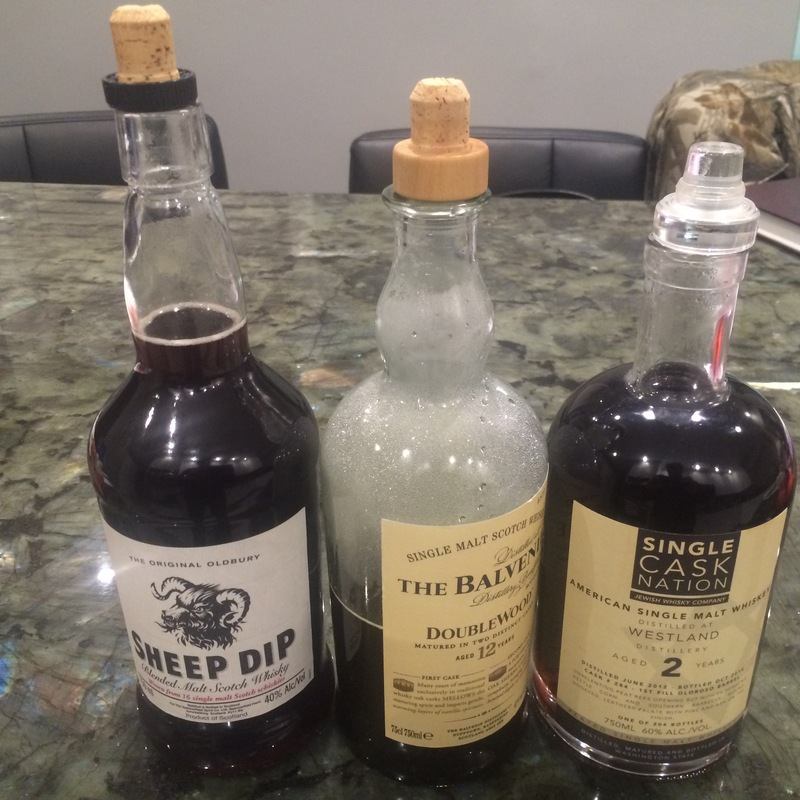 The sap is boiled and evaporated in a big stainless steel pan, then the condensed syrup is moved inside to the stove top, where we carefully finish it off and pour it into old whisky bottles.